Australia has nominated a new leader to Co-Chair our Integrative Research Group. Professor Richard Eckard will join Canadian Dr Brian McConkey and French Professor Jean-François Soussana. Richard is Professor of Livestock Production Systems and Director of the Primary Industries Climate Challenges Centre (www.piccc.org.au) at the University of Melbourne, and represents the Australian government through the Australian Centre for International Agricultural Research. Also co-lead of the Integrative Research Group’s Farm to Regional Network, Richard’s research focuses on sustainable livestock production, nitrogen cycling and loss in grazing systems, with a recent focus on carbon farming and options for livestock production systems to respond to a changing climate. 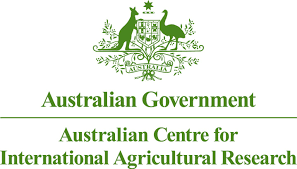 Richard coordinates a research team focused on farm systems analysis, reconciling productivity, adaptation and mitigation, underpinning the development of carbon farming offset methodologies and improved inventory accounting for agricultural emissions.